Looking for karaoke bars or pubs in Heart of Country NSW? Relax as the region offers plenty of Aussie cultural authenticity in the many charming pubs and hotels in the region. It's a pub-crawlers paradise and of course - somewhat of a karaoke paradise too! Beer and wine lovers can seriously rejoice as they eat, sleep and merrily sing their way through the many truly charming pubs which are an ideal base to eat, drink, sleep and of course SING! From Mudgee and Rylstone to Hill End and Gulgong, each of the region’s hotels and pubs have their own unique architecture and story! But of course once inside, you can enjoy the hospitality, fresh food and cold beer or wines. On to the karaoke listings: Been to a local Goulburn pub karaoke yet?For that matter have you been to karaoke anywhere? If you haven’t tried karaoke out, you’ll find that the very first time is undeniably a liberating albeit nerve racking experience! But don't just take our word for it! Check out some of the awesome Bathurst, Goulburn and Albury karaoke venues happening regularly every week. Seriously its great fun and very addictive. Forget all your worries and just sing, sing karaoke! Luckily Australia has plenty of fabulous karaoke venues where thousands of singing folk regularly let loose having the time of their lives! Perhaps it’s your turn now!! 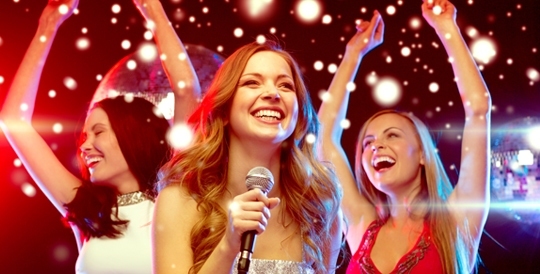 Check out the following fab country NSW karaoke bars and venues!